In this tutorial, you’ll learn how to burn Arduino bootloader on a new ATmega328 using USBasp ISP programmer. Every Arduino Uno Board comes with a microcontroller called the Atemga328P, and they are already pre-program with Arduino Bootloader firmware. 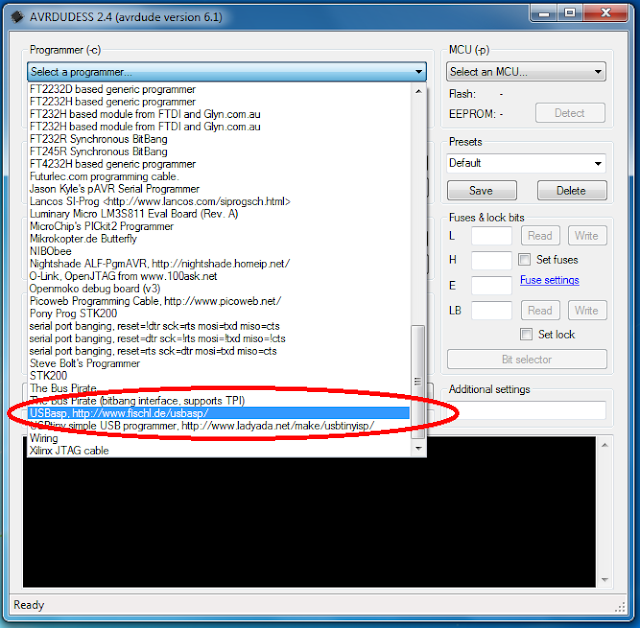 Therefore, there is no need to burn Arduino bootloader into those Atmega328P chips again. 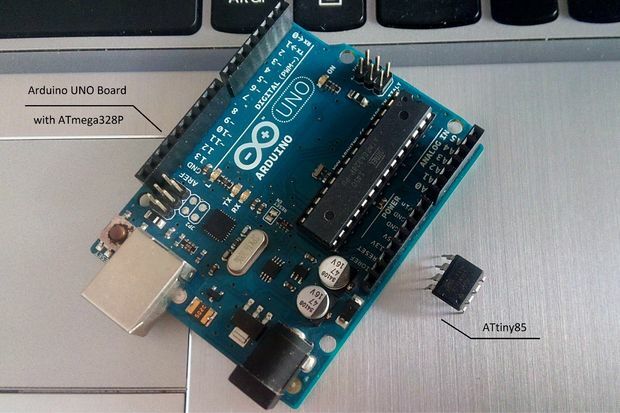 Here, we will be focusing on burning the Arduino bootloader on an off the shelf Atmega328 chip so that you could make your own DIY Arduino board or deploy your Arduino-based circuit to a printed circuit board. NOTE – The bootloader is the little program that runs when you turn the Arduino on or press the reset button. It’s main function is to wait for the Arduino IDE on your computer to send a new program, which then is written to Arduino memory. First of all wire up the circuit in breadboard as shown in below diagram. Please connect all the connections carefully. In above circuit JP1 is where USBasp programmer is connected. Connect all the wires carefully as per above diagram using a jumper wire. Next, you need to install AVRdude software and USBasp Programmer Driver. 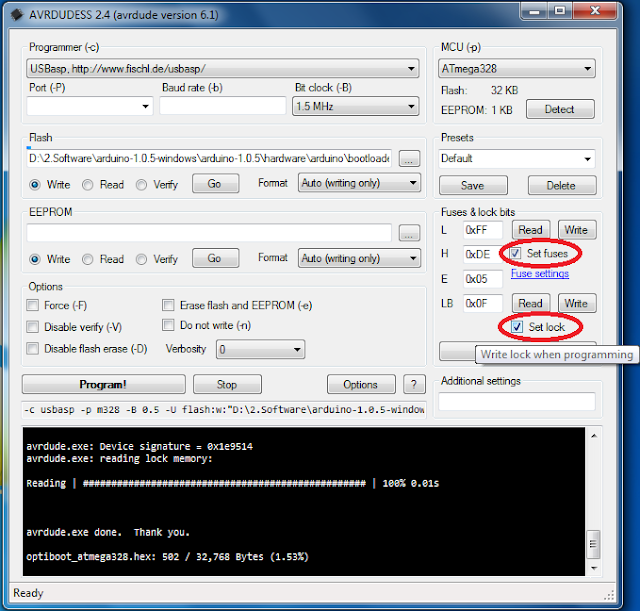 Open the AVRdude software and select programmer type from the drop-down list shown in below image. In our case programmer is the USBasp programmer. After Selecting programmer type click on “Detect” so programmer automatically detects ATmega328. If you have any problem with detecting microcontroller check all connections carefully. After detecting microcontroller, it’s time to read fuse bits and lock bits. As shown in below screenshot click on “Read.” Make sure you don’t write wrong fuse bits, otherwise your microcontroller will stop working. The default value of fuse bit. Now click on “Program!” button. It will take about 30 seconds. 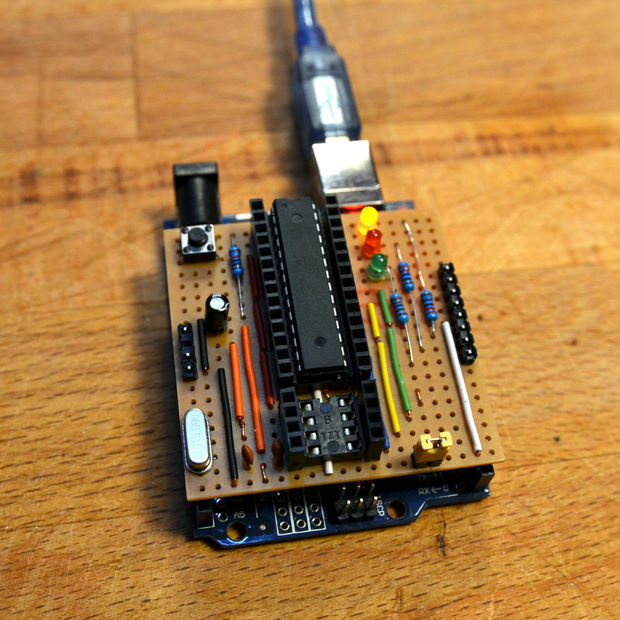 You can now use your cheap ATMega328 microcontroller as a regular Arduino. 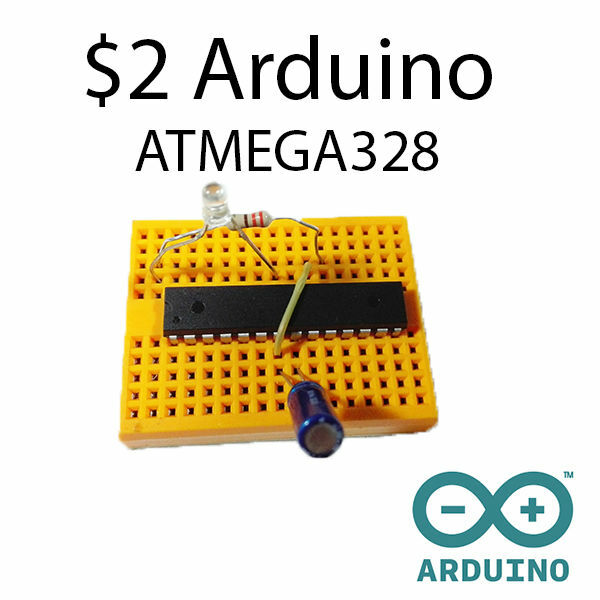 You now have an Atmega328P that can be programmed with the Arduino IDE. Just plug in your new Atmega328P into any Arduino Uno board or using a USB to Serial Converter to upload your Arduino Sketch. Who we are: LCSC Electronics is one of the fastest growing suppliers of electronic components in China. LCSC Electronics has been committed to offering multitudinous, genuine and in-stock items, since its founding in 2011. Main Products: Our extensive product includes semiconductors, resistors, capacitors, diodes, inductors, connectors, transistors, and sensor. Line cards: LCSC purchasing teamwork persistently to select the Chinese trusted manufacturers according to a high standard. We have 72 authorized brands suppliers which are still increasing by time, 173 international brands and 489 Asian brands suppliers. Warehouse: LCSC Electronics has a self-owned modern component warehouse with 10,000 ㎡ by stocking more than 180,000 kinds of parts. LCSC’s project of building the Technology Industry Park with an area of 350,000 ㎡ was launched in Jiangsu in July 2018, which provides a solid foundation for the development of stocking and supply chain in the next 5-10 years and it is Asian largest in-store components warehouse. Shipping: In-stock orders are ready to be shipped in 4 hours and send out to each corner of the world by DHL, FedEx EMS, USPS, and other carriers. This isn’t even a tutorial. Thanks a lot …As I didnt want to take out the atmega of my UNO everytime i bootloaded or programmed my microcontroller, this is the best way to do it.Also the PIn diagram I used was one from google.Please do check yours.Also a big thanks for the software…..
Can you show us, what circuit you used? 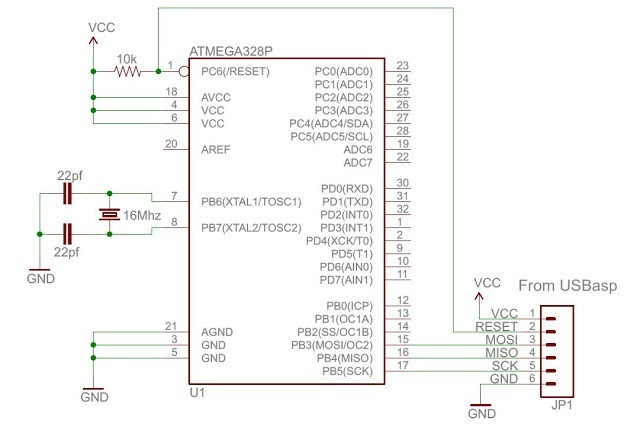 Apologies if I’m missing the obvious, but that does not appear to be the pin-out for the 28 pin DIP ATMega 328, but the pinout for the TQFP version. Might be worth making that clear? I suspect most people coming here would be assuming this would allow you to build your own, so would be assuming the DIP version. Indeed I see you link to the DIP version in your parts list.